Srinagar, April 13: The Election Commission has given a notice to BJP candidate from Srinagar Khalid Jehangir for “violating” model code of conduct. Jehangir on Friday posted a picture on Twitter revealing that national general secretary Ram Madhav had interacted with the first-time voters in Srinagar. “Shri @rammadhavbjp ji interacts with first time voters in Srinagar. He told the first time voters that those who cast their votes in Kashmir so far were only being remembered during votes and are being forgotten after the elections are over,” Jehangir tweeted. However, the EC took note of the meeting and issued a showcause notice to Jehangir terming it a violation of model code of conduct. “Whereas you have reportedly held an interactive session with the first time voters at Grand Palace, Srinagar, on April 12 (photo enclosed) without seeking permission from the District Election Officer, Srinagar, which clearly envisages that the expenses incurred thereof were also concealed,” the showcause notice is issued by the Additional Deputy Commissioner, Srinagar, who is also the nodal officer, MCC. He termed the BJP candidate’s action a violation of code of conduct. 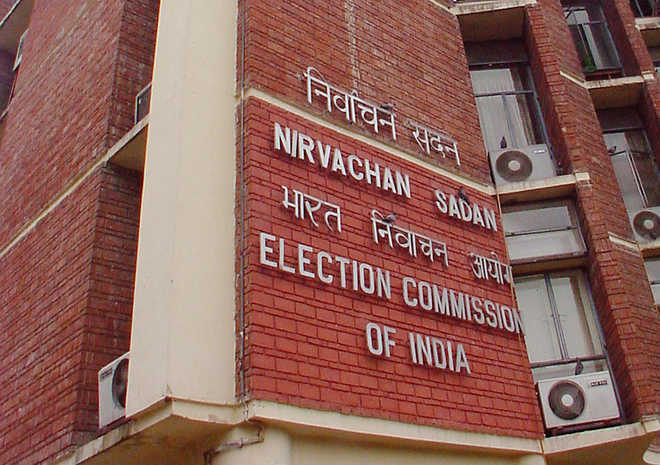 “As your action is in violation of the model code of conduct and the guidelines issued by the Election Commission on two accounts—one, you have not sought prior permission, and second, your conduct leads to the concealment of expenditures thereof—you are directed to explain your conduct within 24 hours failing which it would be brought to the notice of the Election Commission for appropriate action,” the notice read. When contacted, Jehangir said he would respond to the EC notice. “My campaign is in black and white and nothing is hidden,” Jehangir said. He said Ram Madhav had come here and he met young first-time voters and told them that elections are like a festival so everyone should contribute in the democratic process and make others vote.